What’s in your healthcare equation? Customer service expectations are higher than ever, and patients are ultimately customers. They expect the same levels of service at the doctor’s office or hospital that they are accustomed to from other businesses, and that includes digital services accessible through their mobile devices. Unfortunately, in the healthcare industry patients often confront cumbersome, manual services, long waits, and information bottlenecks. This leads to frustration for patients and inefficiency for service providers. Providers cannot afford this inefficiency. Healthcare costs are spiraling, and substantial budget pressures have only added to the need for industry-wide transformation. The right technology can help. Information technology can do more than just give patients access to records and lab results from their smartphones. From efficiencies in record keeping, scheduling, and billing to remote communications and collaboration technology for providers, the right technology infrastructure can bring about a healthcare transformation for the better. 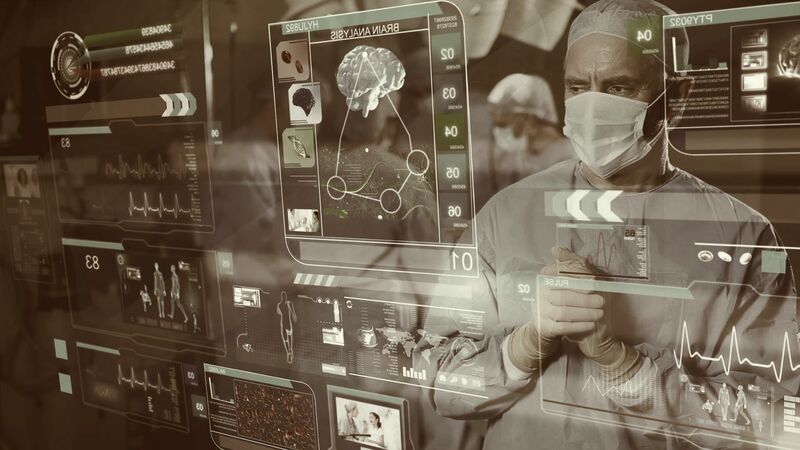 The next-generation healthcare environment demands smarter use of IT. Mobility is a critical piece for member engagement, patient interaction, and hospital staff productivity. Easy access to always-up-to-date information can drive proactive health interventions, reduce the cost of care, and ultimately create better outcomes for patients. Healthcare workers are already highly mobile. According to IDC, the average physician uses 2.7 devices in addition to their multiuser workstations. Tremendous opportunity exists for healthcare IT leaders to harness the power of cloud and mobility technologies to unlock new ways of delivering care more efficiently and economically.